Fear of driving is a very common and we understand it is very important to provide the right atmosphere for our students. There most definitely should be no yelling involved. Creating a learning environment like this starts with us and our instructors. Which is why our instructors get that little bit extra training above the standard you'll usually see out there. Driving instruction is about listening and responding to your needs. In the end that is what being a driving instructor is all about. 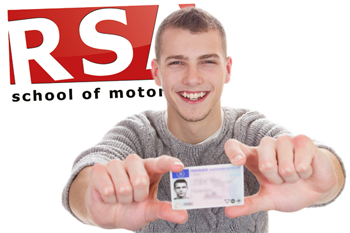 You, your needs and affordable quality driving lessons in Cork. No other Cork Driving Schools offer free material like ours. With our free home study support material you'll be prepared for every lesson and develop faster as a driver than with any other driving school. This material helps you grasp and understand those tricky areas of driving like roundabouts, night driving and your driving test maneuvers. When we were in school we all had our favorite teachers, the ones that engaged us and made learning fun. And we remember the bad teachers that had no business teaching anyone. Not all teachers are made equal and that is no less real with driving instructors. It's not as straightforward as Googling 'Driving Lessons Cork' and choosing the first driving school you find. Who can you believe in to offer you that fun and engaging experience? 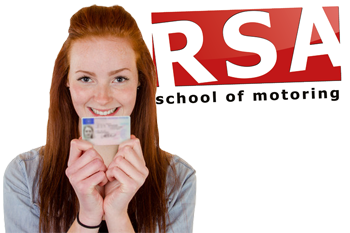 We have helped hundreds of pupils pass the test so before you continue your search we urge you to consider RSA School of Motoring for your driving lessons in Cork. Keep reading to find out why. 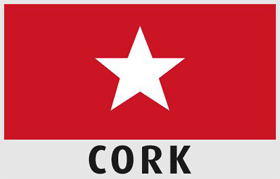 Check out pretest packages in Cork below... or call us now to book your pretest package. Looking for a female driving instructor for your driving lessons? Your wish is our command. We have female driving instructors all over Cork ready to help you complete your EDT and pass the driving test. Of course. We understand that young people these days live very busy lives so as part of our service we include free pick up and drop off from your Cork home, college or place of work*. Teaching you to drive would be our absolute pleasure. Go on... give us a call now and let's get you booked in for your Cork driving lessons today. You'll glad you did.